Commit Compete Basketball is a small basketball group geared towards player and coach development of all ages in the town of Canton. Commit Compete Basketball will provide various training opportunities to help generate better basketball skill sets and a more united basketball community. Commit Compete Basketball is a small basketball group geared towards player and coach development of all ages in the town of Canton. Commit Compete Basketball will provide various training opportunities to help generate better basketball skill sets and a more united basketball community. As a sponsor you will be contributing to the growth and development of Basketball in Canton. Below is a description for each level of sponsorship opportunity. Note: Sponsorships are on an annual basis. Once you have become a sponsor you will be considered a preferred member of Commit Compete Basketball with priority to renew your sponsorship each year. As a Gold Member your donation will gain you a scrolling company logo on our team website, a link of your choice on our team website, and your company logo on all our marketing materials. Your company logo will be put on all of our gear, including camp and clinic t-shirts. As a Silver Member your donation will gain you a scrolling company logo on our team website and your company logo on all of our marketing materials for the year. Your donation will also gain you a link of your choice on our team website. As a Bronze Member your donation will gain you a scrolling company logo on our team website and your company logo on all of our marketing materials for the year. Please email cantonboysbasketball@gmail.com to solidify your sponsorship to Commit Compete Basketball. 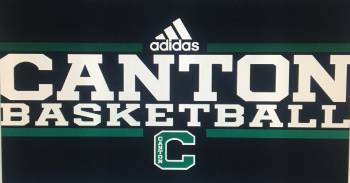 You may e-mail any corporate logos for advertising to cantonboysbasketball@gmail.com for further use.